Next Singapore Treatment Dates: April 17-30th, 2019. The Self Care – Level 1, is the first of 3 levels of training to become an Certified ATMAT practitioner. No specific qualification is required, this workshop is open to any person who desires to take good care of themself or become a qualified ATMAT practitioner. This workshop is designed to educate and empower YOU to use your own two hands to help yourself! You will learn techniques that are founded on the ancient Maya method of abdominal massage. The Arvigo Technique is traditionally known for its benefits to the digestive and reproductive systems of both males and females. Join us for a weekend spent caring for yourself in a gentle but profound way. Prepare yourself to be amazed at the wonders of YOUR body and how environmental circumstances and life style can affect your general health and wellbeing. Have you ever wondered why the following common complaints are so prevalent in our society? Challenging menopausal symptoms……..the list goes on. Then join me on this journey of discovery into the workings of your body, gain an insight into the conditions that contribute to a failing in health and vitality. Leave with a deepened understanding of what you can do to support your own bodies’ innate healing mechanisms and confidently perform your Self Care Massage routine. 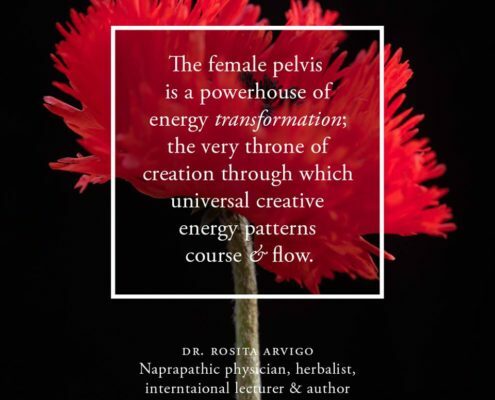 This Self Care Workshop covers: A brief history of the lineage and Dr Rosita Arvigo; basic anatomy and physiology of the abdominal and reproductive organs; the causes and symptoms of shifted organs; simple information on diet; spiritual and emotional health; demonstration and practice of the self care technique. All participants receive a 30 minute ’one to one’ evaluation and guidance in the Self Care massage. Your one-to one session may fall outside class times so please be prepared to stay after class. This two and a half day workshop prepares the student to perform Arvigo Therapy® on his/her self only and is a perquisite to enrollment on Arvigo Therapy Professional Training for licensed healthcare practitioners. Fees include: Tuition, course notes, healthy lunches, snacks and teas. Please let us know of any dietary requirements when booking. *This includes a non refundable payment of USD$98.00 paid directly to the Arvigo Institute which covers course registration & a tithe to support the Ix Chel Tropical Research Foundation. Note: The self-care workshop is normally taught in 2.5 days, I am working on teaching it as a 5 day retreat, where the class would be taught 3-4 hours a day and other activities would be optional.